The US inflation data came weaker than expected which gave EUR bulls an opportunity to cover the loss. 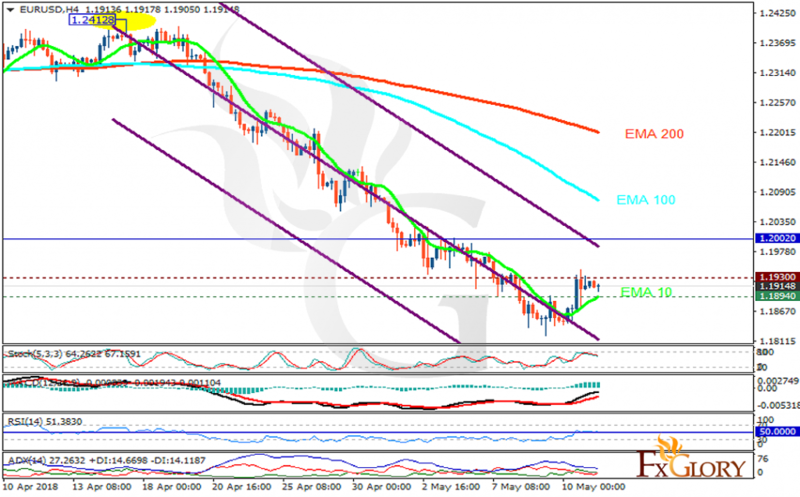 The support rests at 1.18940 with resistance at 1.19300 which both lines are below the weekly pivot point at 1.20020. The EMA of 10 is moving with bullish bias in the descendant channel and it is below the EMA of 200 and the EMA of 100. The RSI is moving on the 50 level, the Stochastic is moving in high ranges and the MACD line is above the signal line in the positive territory. The ADX is not showing any clear signals. While 1.2 area remains as the main resistance zone, EURUSD is falling down towards 1.18.